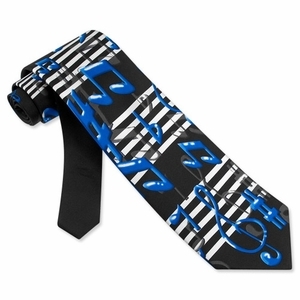 This Blue Notes Black Silk Tie features large blue musical notes on top of a musical sheet against a black background. Our silk necktie is perfect for those who love music or is a musician! 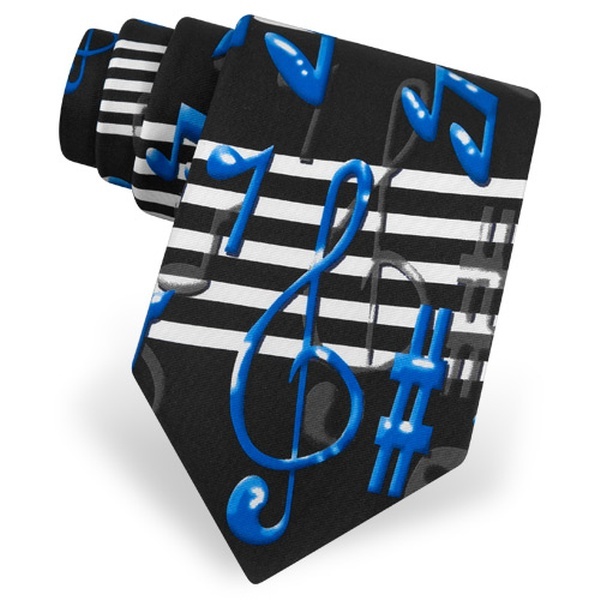 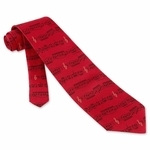 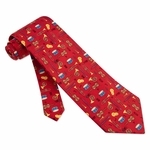 This neck tie is perfect for those who play some kind of musical instrument.